Some runners hate to be stuck inside on a treadmill, especially when there’s beautiful weather and great terrain available outside. 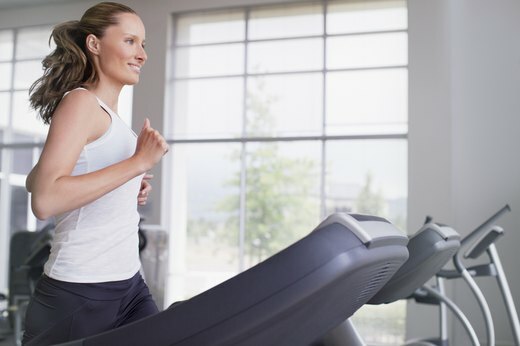 Other runners appreciate the convenience of hopping onto a treadmill and getting their workout in without having to consider routes or weather. But which one is better? The easy answer is that neither is better than the other, from a physiological standpoint. 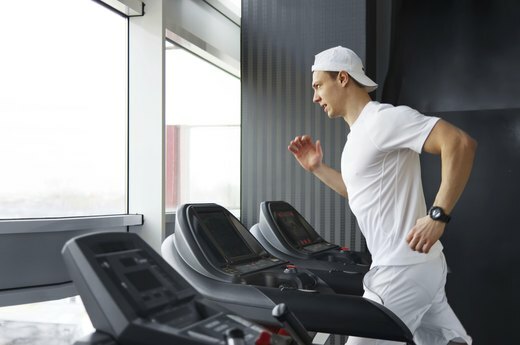 Running on a treadmill that’s set correctly will closely simulate running outdoors, so the benefits are largely the same, though there are a few essential points to keep in mind. Read on to get some useful tips to make sure you get the most out of your outdoor and treadmill runs. Without making any changes to the treadmill, running on a treadmill will be easier than running outside on a flat road. The biggest difference is that the belt is moving underneath you so you don’t have to push off the ground against air resistance to propel your body forward. According to a 1996 study published in the Journal of Sports Sciences, the lack of air resistance reduces the energy cost of running. 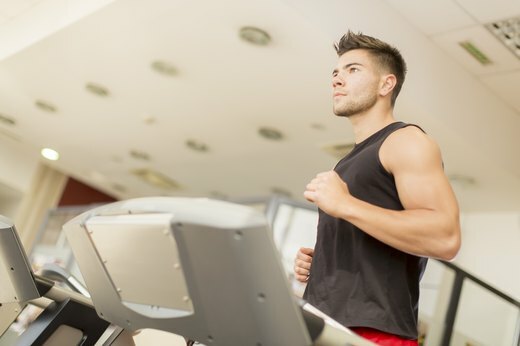 Researchers measured VO2 max — a measurement of the body’s oxygen use during exercise — in trained male runners and found that setting the grade of the treadmill to one percent best reflected the energetic cost of running outdoors on a flat road. Exercise treadmills have come a long way since they started appearing in the late ’60s. Early versions didn’t offer much in the way of controls or shock absorption.. These days, treadmills come with all the bells and whistles. You’re able to completely customize your workout — manually adjusting the incline and speed, choosing a workout program or tracking your heart rate. You can even watch a movie or listen to your favorite podcast while you’re working out. The treadmill decks also have improved shock absorption, which can reduce the impact on your joints. One major manufacturer claims its technology reduces impact by nearly 30 percent. 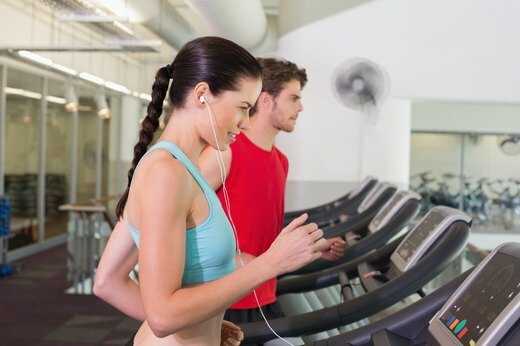 One of the benefits of treadmill running is that it’s a highly controlled environment. You don’t have to worry about wind or rain when you want to go for a run. You can also choose your terrain. “I’m a huge proponent of hill training because I think that makes you stronger. I call it the secret weapon,” says elite-level coach Keith McDonald. But not everyone lives near a hill. “Running hills on a treadmill is great because you can get the incline and then you can recover — incline, recover, incline, recover.” The same goes for speed training, says McDonald. If you want to do a speed workout and carefully monitor your pace, you can set a program on the treadmill that allows you to do that. Even die-hard outdoor runners have to take it inside sometimes. Depending on where you live, running outdoors in the middle of the day at the height of summer can be not only difficult, but also dangerous. If you have to get in your run, a treadmill in an air-conditioned space starts to look more appealing. Certain other safety considerations can prohibit outdoor running and make a jaunt on a treadmill the better option. Thunderstorms, icy conditions and darkness in an unsafe part of town are all good reasons to bring your workout inside. That doesn’t mean it has to stay inside, but a treadmill is a good temporary solution for running through a heat wave or a winter in North Dakota. Which Option Is Best When Training for a Race? 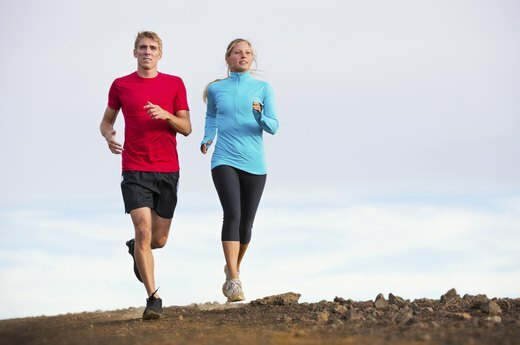 Whether treadmill running or running outdoors is better for you depends largely on your goals. If you’re training for a road or trail race, it doesn’t make sense to do most of your training on a treadmill. “If you’re training for a marathon, obviously you want to make sure that some of your training is on pavement so your body knows what to expect on the day of the race,” says sports-performance coach Hannah Schultz. 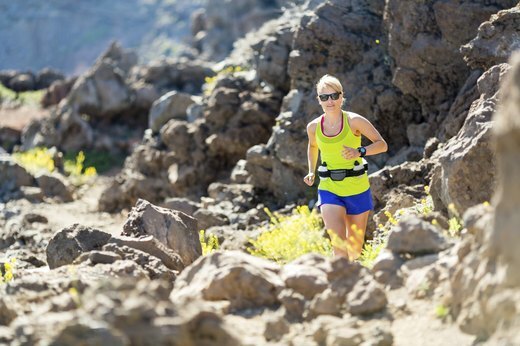 If you’re running a mountain trail race, you want to spend plenty of time running on trails to develop reaction time and agility, which come from having to dodge obstacles and deal with uneven terrain. A treadmill isn’t going to help you there. When you’re dealing with an injury, you want to be sure to choose your running surface carefully. Treadmill running offers a controlled environment, and quality machines offer reduced impact with shock-absorbent decks. “It’s a great rehab tool because most treadmill decks are spring-loaded, so when you impact it actually gives,” says elite-level coach Keith McDonald. But some outdoor terrains like grass can offer soft surfaces for rehab too. Once your physical therapist gives you the green light, low-intensity runs on a grassy field are a good first step. According to a study published in the Journal of Sports Sciences in 2012, running on grass reduces stress on the musculoskeletal system compared to running on firmer surfaces like pavement and concrete. 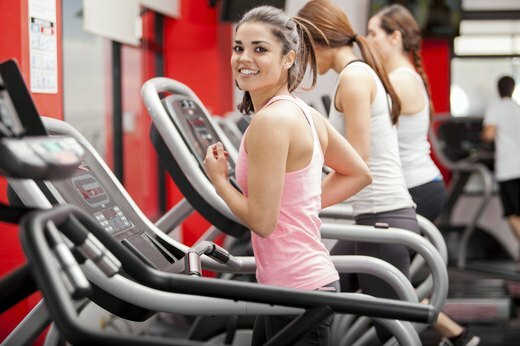 Is Your Running Gait Different on Treadmills? You might assume that your body moves differently while running on a treadmill versus running outdoors, but research proves that’s untrue. Researchers published a study in the Journal of Applied Biomechanics in 2010 that analyzed the gait of runners running on both treadmills and on land at similar speeds and found no significant differences in the kinematics (movement patterns) of test subjects’ hips, knees and ankles. 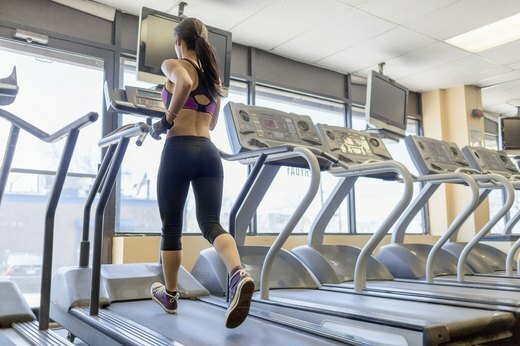 Another study, published in Medicine and Science in Sports and Exercise in 2008, also found that the movement patterns of a treadmill gait were similar to those of an overland gait. This means that whether you choose to run on a treadmill or outside, you’ll experience little kinematic difference. If you only run on a treadmill, you may begin to experience overuse injuries because your legs and feet are always moving in the same way. Outdoors, you’ll experience a variety of terrains, which requires the use of different musculature, so that no one muscle becomes overused or underused. “Running outdoors, your foot is always having to adjust to whatever surface it’s on,” says sports-performance coach Hannah Schultz. 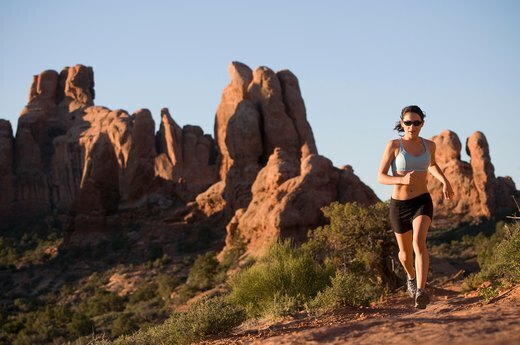 If you encounter a hill, your glutes and hamstrings have to work harder, and going downhill fires up your quadriceps. Running on the same surface could lead to imbalances over time, Schultz explains. To avoid this, take your workout outside every once in a while. If you typically detest treadmill running, but weather conditions prevent an outdoor workout, you can make the treadmill more bearable. Elite-level coach Keith McDonald recommends doing interval workouts on a treadmill. 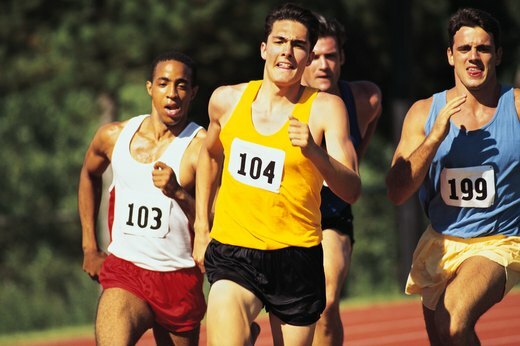 During interval workouts, you’re varying the speed every 30 seconds to several minutes, alternating periods of sprinting with periods of recovery jogging or walking. This type of training gives you a more intense workout than a steady-state run and also builds cardiovascular fitness. You also won’t die of boredom. “If you are on a treadmill and you’re doing a workout like that, it goes really fast so you’re not going to drive yourself nuts,” says McDonald. Ultimately, the best type of running is the kind you most enjoy. If you don’t like your workout, then it’s highly likely you’ll skip it, missing out on health and fitness gains. Sports-performance coach Hannah Schultz recommends mixing it up: Do a speed workout on a treadmill one day and then go for a long trail run the next. Not only will this help you avoid potential repetitive-stress injuries from doing the same physical motion all the time, but it will also help you prevent the boredom and burnout that can result from a repetitive workout routine.